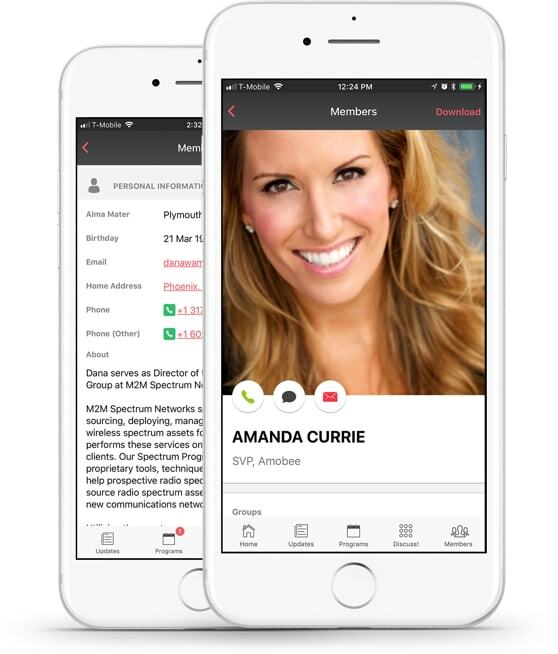 Create instant connections with a powerful mobile membership directory app. Enriched with contact information, filtering, messaging, and grouping features. The best membership directory is in your pocket! Display your organization's people, groups, committees, everything. Take the frustration out of navigating your world. No more lost phone numbers or emails. All the information you need is easy to locate. Download contacts directly to your phone. Find and Connect. It’s never been easier! Have member directory profiles created instantly upon invite. 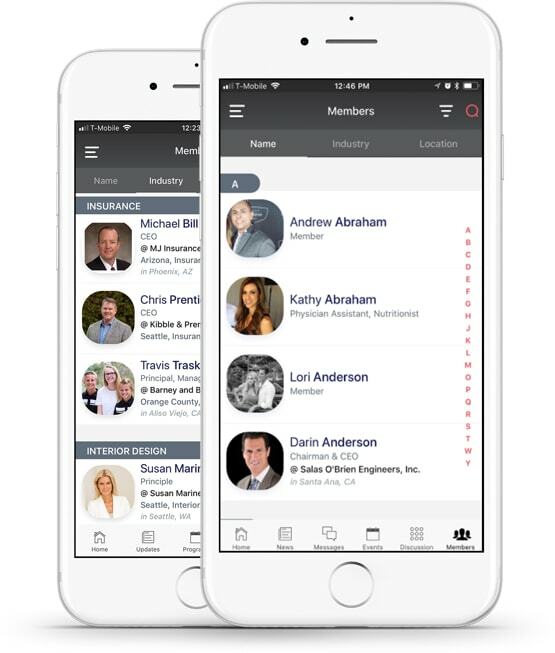 Manage members and profiles in seconds. Our intuitive interface makes searching, filtering and browsing your membership directory faster than ever.